James Carl Photography is a premier Pittsburgh, Pennsylvania wedding and engagement photography studio located in Wheeling, West Virginia. This husband and wife photography team specializes in engagements and weddings only, offering only the best heirloom-quality handmade albums and artisan prints, along with providing superior service. 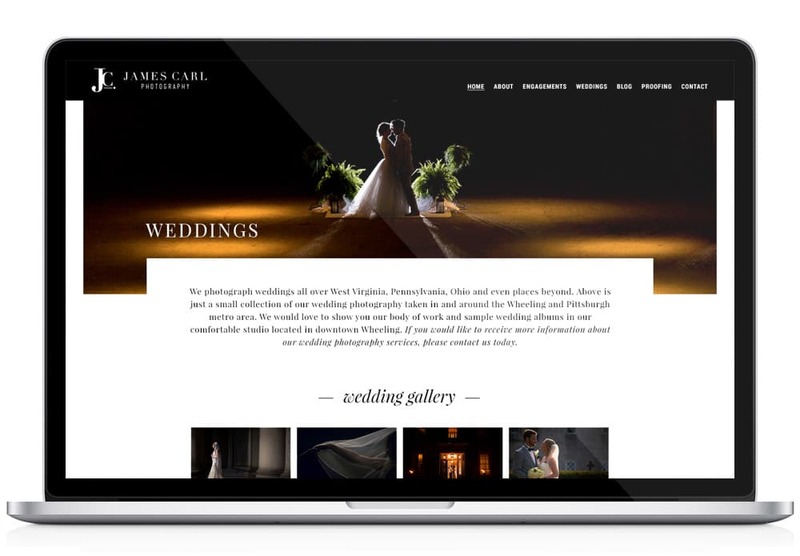 This is the second website Visual Lure has designed and developed for James Carl Photography (previously Wright Image Photography). The new website design was built on the WordPress platform utilizing a full custom, responsive, search engine optimized theme. 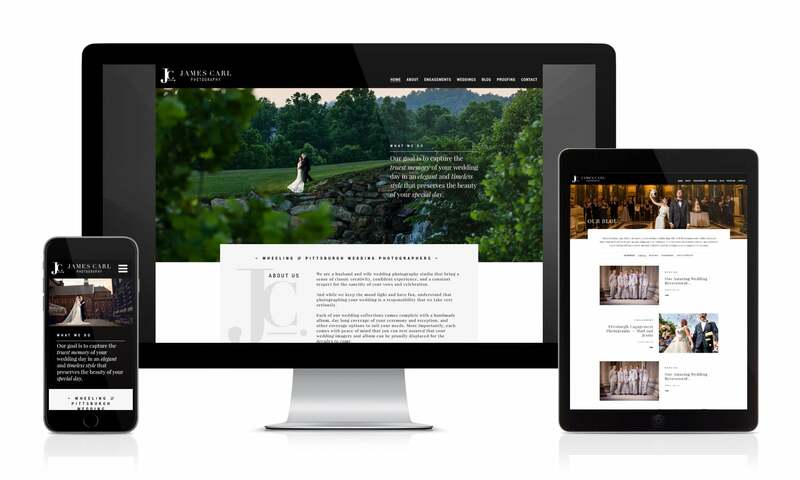 The site features a high performance slideshow, rotating testimonials, masonry WordPress galleries with lightboxes, custom post types for featured weddings, blog post and custom post type feeds, and a fully integrated blog with subtle CSS animation hover effects throughout to add a touch of refinement. And even though the layout and structure is somewhat complex, we designed and developed it with admin usability in mind – making it extremely easy to maintain and update.